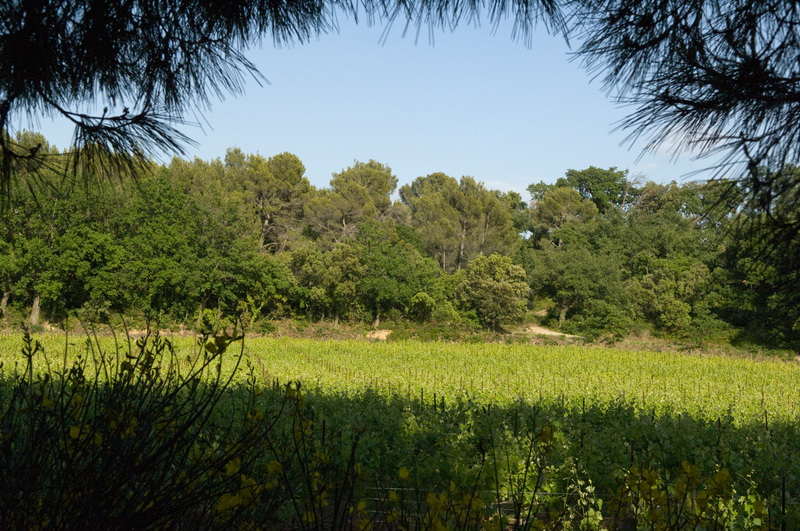 The Vin de Pays de Vaucluse extends over 1764 hectares. The main vine varieties are Grenache, Syrah, Cinsault, Merlot, Carignan. Vin de Pays de Vaucluse can be had in three types of wine, red, rose and white. We only produce red in this category, and we have two. They are either a blend of Grenache and Syrah or only Syrah. 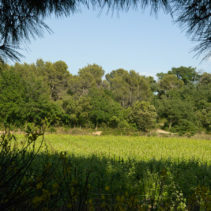 The vines are situated on the banks of the Ouvèze river (which dries up in the summer). It is the baby brother of our big wine classifications of Vacqueyras, Gigondas and Côtes du Rhône. That is why it is called ‘Le Cadet’ or the youngest brother. Age of Vines : 60 years old. Soil type : Sandy clayey soil with ancient Würm alluvium. Harvesting : Manual or mechanical (it depends on the year). Winemaking : Traditional methods, total de-stemming, light crushing, natural indigenous grape yeasts. Aging : In cement vats for between 6 to 12 months, then in bottles. 100% oak free. Laying down : 5 years. Winetasting : A red wine with purple colour. In the mouth it shows freshness and fruitiness. It has the enviable structure of a Côtes du Rhône. A parcel rented to us in 2007 by a retired friend of the family. It is situated in ‘Sarrians’ in an area called ‘l’aire du chateau’. It was the least liked of the previous farmer. We immediately converted it to Bio-Dynamic culture. The children from the Waldorf School came to harvest with us in 2008 and to sing to the vines and the grapes. Hints of violets come through immediately in this wine, both on the nose and in the mouth, which gave birth to its wine name. Soil type : Recovered alluvial silt on a base of Helvetian sand and sandstone. Winetasting : To be drunk at 17° or slightly chilled in summer. On the nose it has aromas of red fruits as found in the Syrah of the northern Rhone valley.